Tunes Tuesday is back once again! 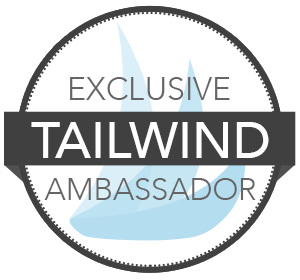 I hope you enjoy these weekly departures from my usual running talk and find some fun music to enjoy! 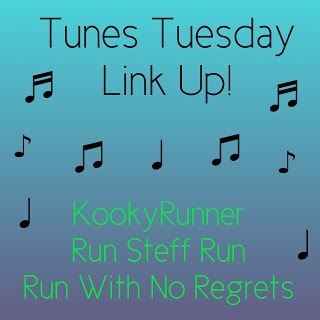 The Tunes Tuesday linkup is hosted by Steff from Run Steff Run, Kimberly from Kooky Runner, and me! We’d love you to link up with us and share your favorites. It’s the third(!) week in May, so the theme is pump up music! 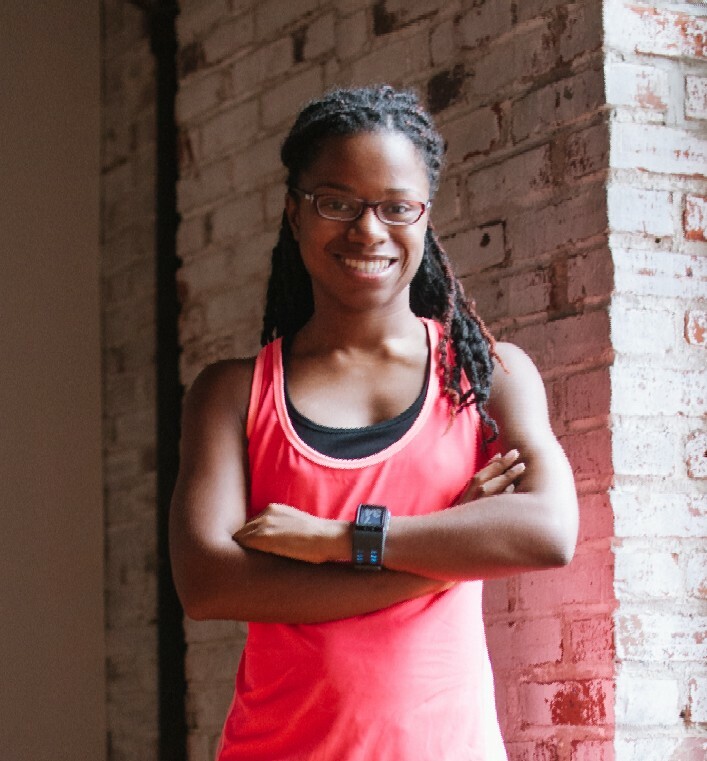 Check it out and see what you can add to your running/workout playlist! Since last month was a stroll through the 90’s, I’m going even further back and sharing some of my favorite pump up songs of the 80’s! Who doesn’t love some 80’s music? So much of the music of this era is incredibly cheesy, but I love it anyway! 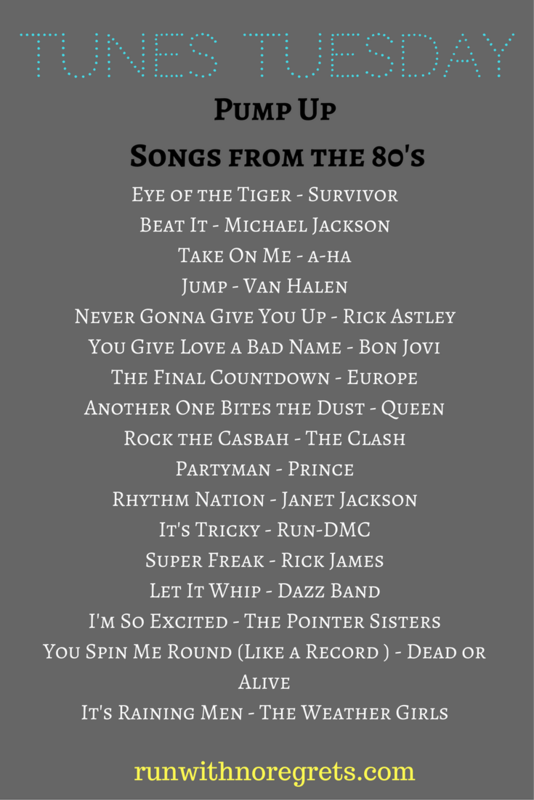 I was born in the 80’s, so I have some very early memories of some songs from the time, but it wasn’t until high school and college that I really developed a love for 80’s music! As you know by now, I have a very eclectic taste in music, so you’ll find a great variety of this week’s playlist. Once I started creating the playlist, I realized that there were so many more songs that I enjoy from the 80’s – so I just may need to do a Part 2 to keep the party going! Check out my latest update to my Tunes Tuesday Pump Up Playlist on Spotify – now with some 80’s jams added to the collection! Eye of the Tiger – Survivor: How does this song NOT get you pumped up? It’s one of my favorite songs to run to! Beat It – Michael Jackson: One of the greatest songs of the entire decade, let’s be honest. Take On Me – Aha: This is such a cheesy song but I love it! Jump – Van Halen: The intro is everything! Never Gonna Give You Up – Rick Astley: So corny but I love it! It’s got a great hook! You Give Love a Bad Name – Bon Jovi: This is definitely my favorite Bon Jovi song! The Final Countdown – Europe: When I was in the band in college, we played this song a LOT at the football and basketball games! Another One Bites the Dust – Queen: Queen is amazing, so many great songs! Rock the Casbah – The Clash: It was hilarious when I realized that Will Smith’s Will2K samples this song! Partyman – Prince: If you’ve ever seen the first Batman movie with Jack Nicholson, you know what I mean. Rhythm Nation – Janet Jackson: I still remember how innovative this music video was! It’s Tricky – Run-DMC: Funny story, I remember Lance Bass dancing to this song on Dancing with the Stars…so fun! Super Freak – Rick James: Gotta give some love to my fellow Buffalonian! Let It Whip – Dazz Band: My mom and I used to love dancing around the house to this song! I’m So Excited – The Pointer Sisters: Saved by the Bell, anyone? You Spin Me Round (Like a Record) – Dead Or Alive: Now all I can think about is the Flo Rida song, haha! It’s Raining Men – The Weather Girls: If you want your life to change forever, watch this music video. What 80’s songs get you pumped up? What would you add to the list?